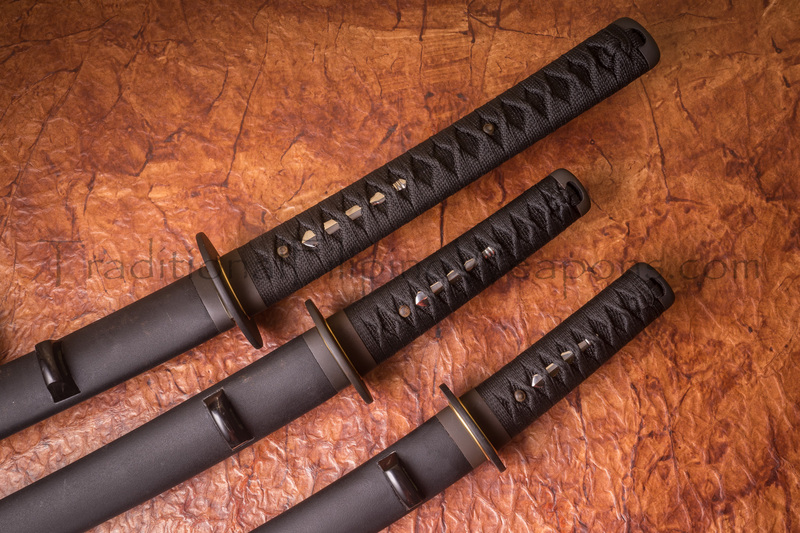 KATANA – The Katana is A general term for the traditional sword with a curved blade usually between 23 and 32 inches, worn with the edge upwards in the sash. 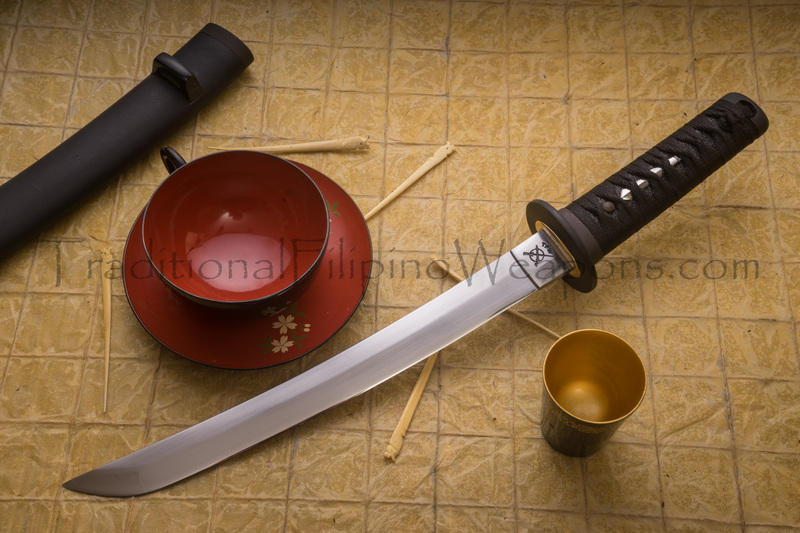 Historically, the Katana was one of the traditionally made Japanese swords that were used by the samurai of ancient and feudal Japan. 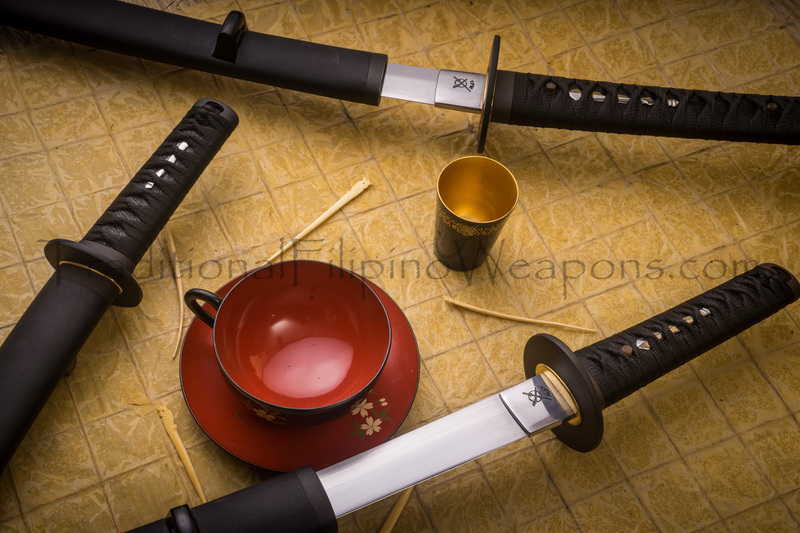 The Katana (commonly known as a Samurai Sword) is characterized by its distinctive appearance which is a curved, single-edged sword with a circular or squared hand guard along with a long grip to accommodate either a one or two hand use. 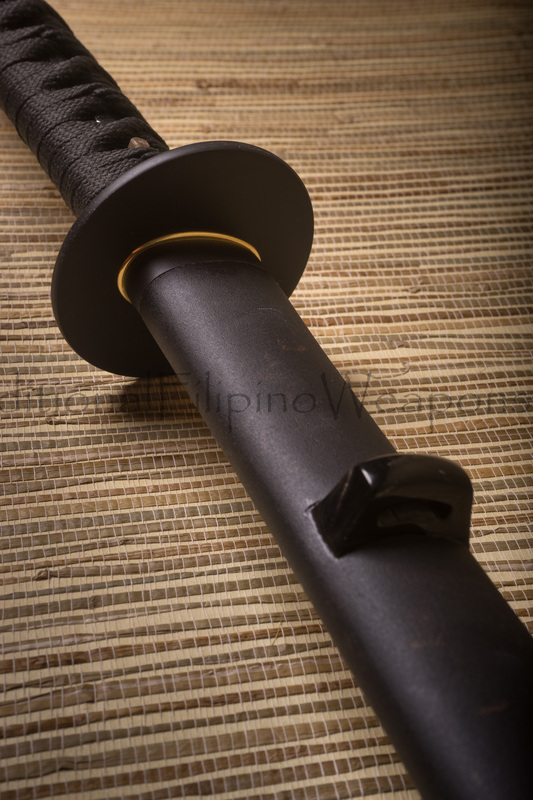 WAKIZASHI – The term Wakizashi did not originally specify swords of any official blade length and was an abbreviation of “wakizashi no katana.” That term was applied to companion swords of the katana regardless of size. 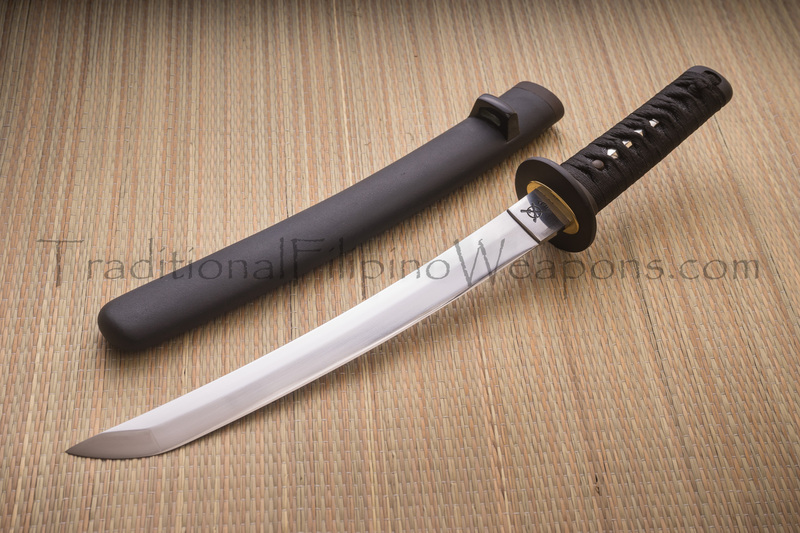 even the Tanto was called a Wakizashi. As a means of displaying trust and respect, the Samurai would leave his main sword at the door with a servant keeping the smaller sword (Wakazashi) by his side. 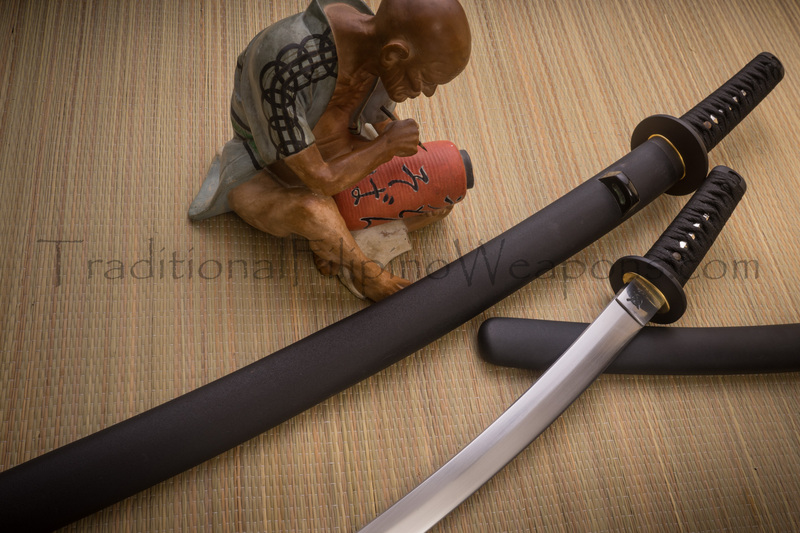 A Samurai would wake in the morning and reach under his pillow where his Wakizashi as well as his Tanto rested. 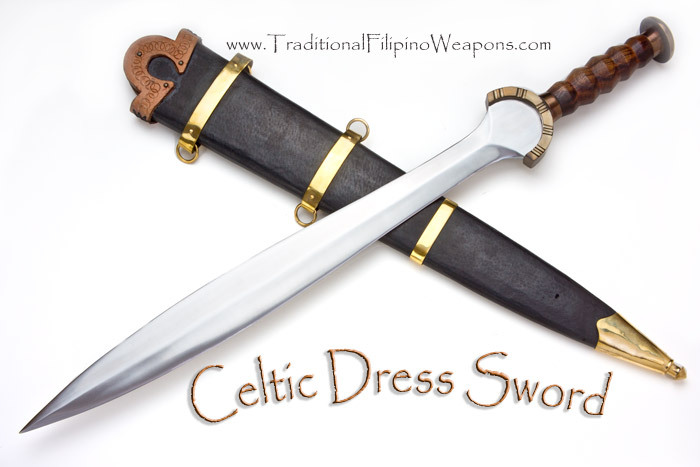 A short sword being more advantages than just a warriors empty hand skills against a potential enemies bladed weapon. It only makes sense that a warrior of those times would always be prepared. 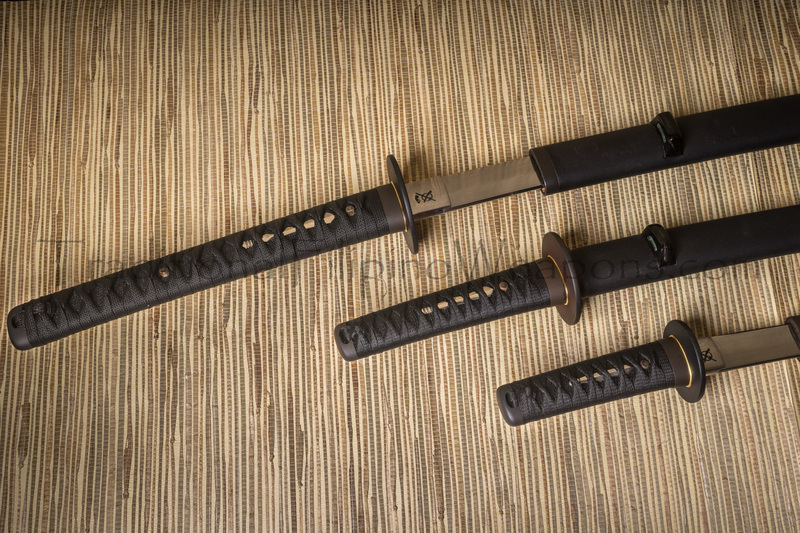 TANTO – The Tanto is a Japanese knife that can be either a single or a double edged dagger or knife. 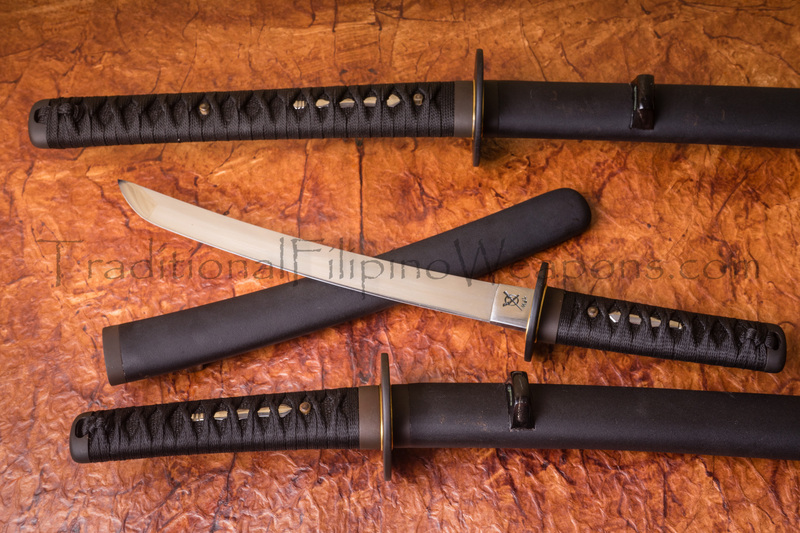 The Tanto has no real exact traditional length where it can range from six to twelve inches in length, and like most knives from different cultures of the ancient past, can be used as both, a stabbing and slashing weapon. 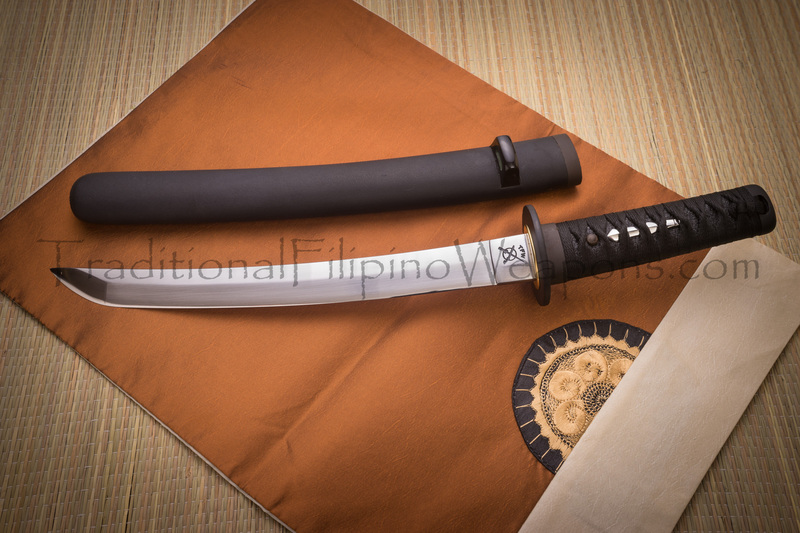 The Tanto first surfaced between the years 794 and 1185 AD as just a standard weapon. 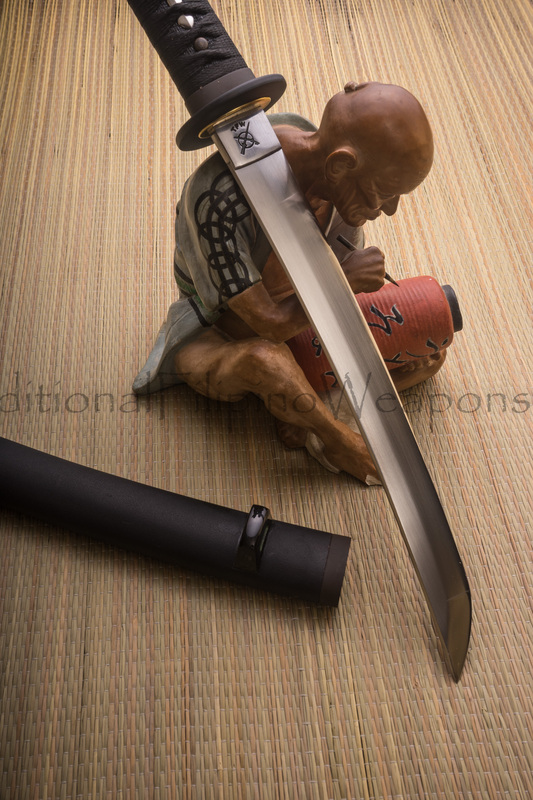 The Tanto was a practical blade born out of necessity. 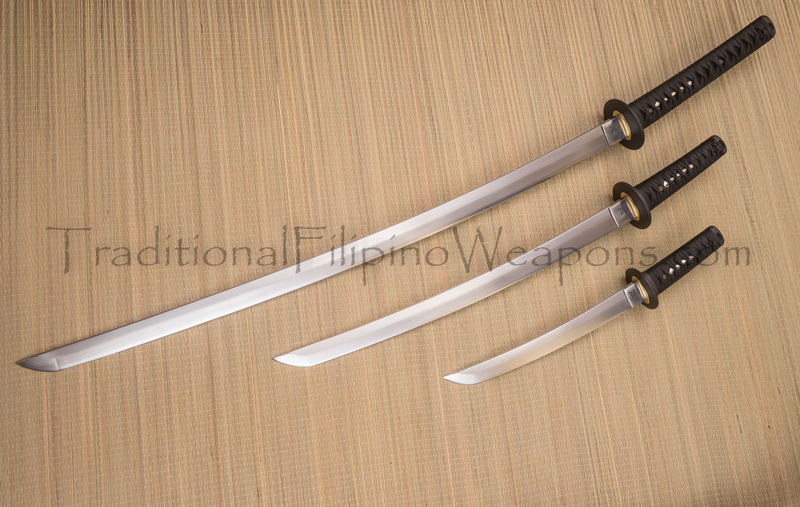 These weapons were mainly carried by Japanese samurai warriors. 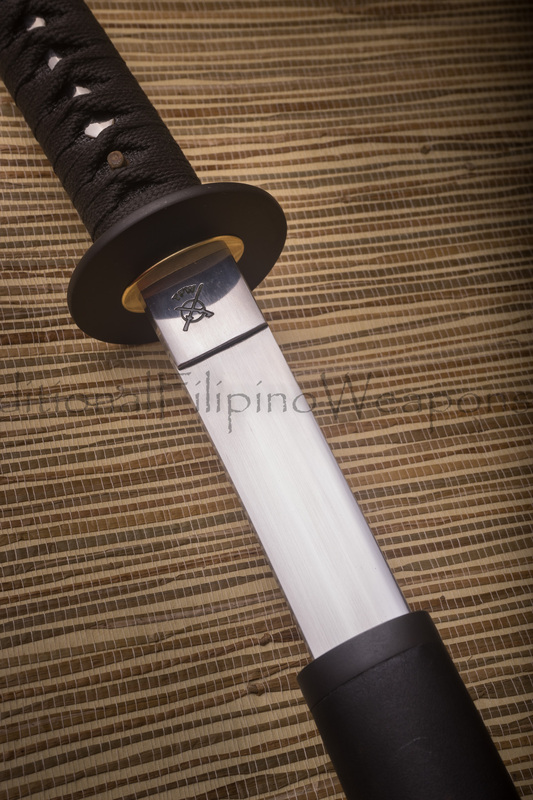 Women carried a smaller version of the Tanto, called a Kaiken, and were used for self-defense. 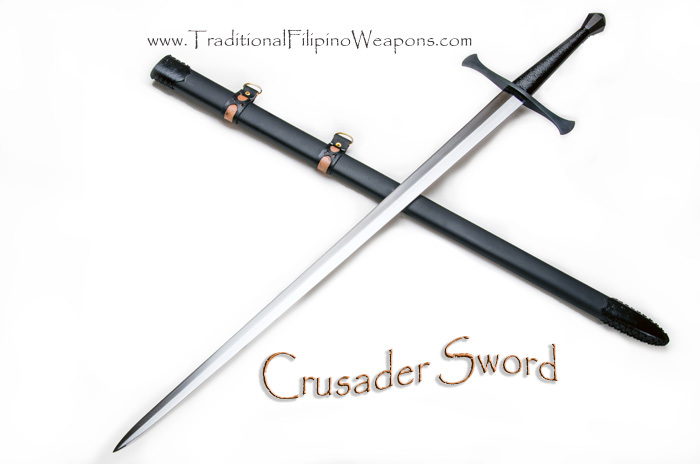 It was useful for self-defense by men or women in ancient times in more indoor spaces where the long blade such as the Katana or the Wakizashi were inconvenient to use in smaller tight spaces. 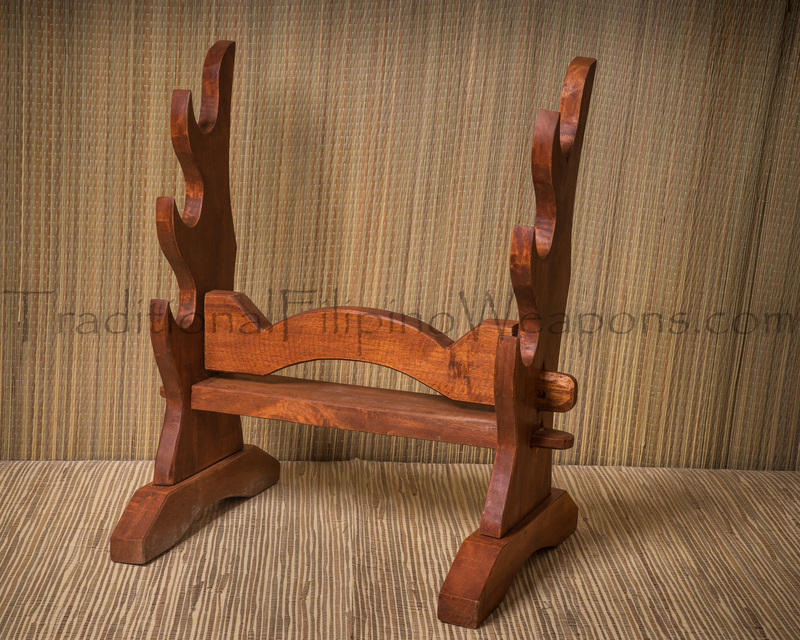 Hand Made Sword Stand – The sword stands (which is included for the price) in this sword set are all individually handmade from Filipino pine. This makes this display of swords look that much better. Nothing in TFW is machine-made or stamped out. 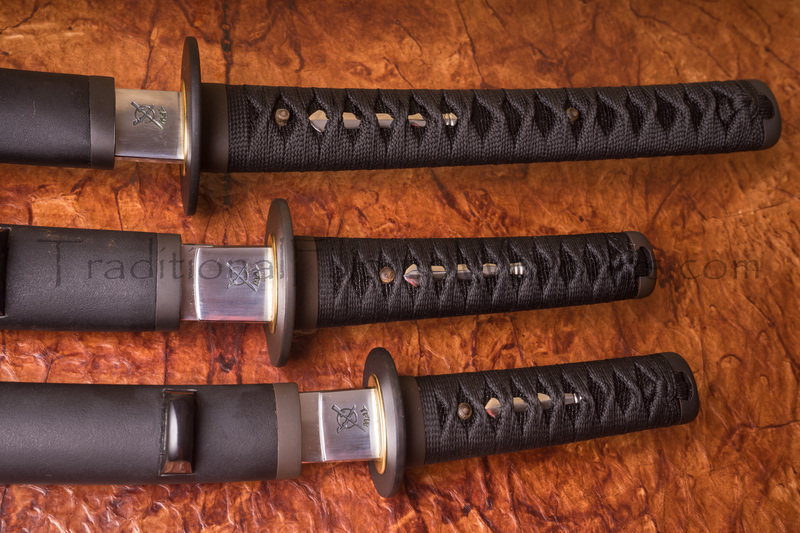 The Katana/Wakazashi/Tanto set as well as the sword stand are all individually hand made. These are all works of functional art that can be handed down for many generations to come. 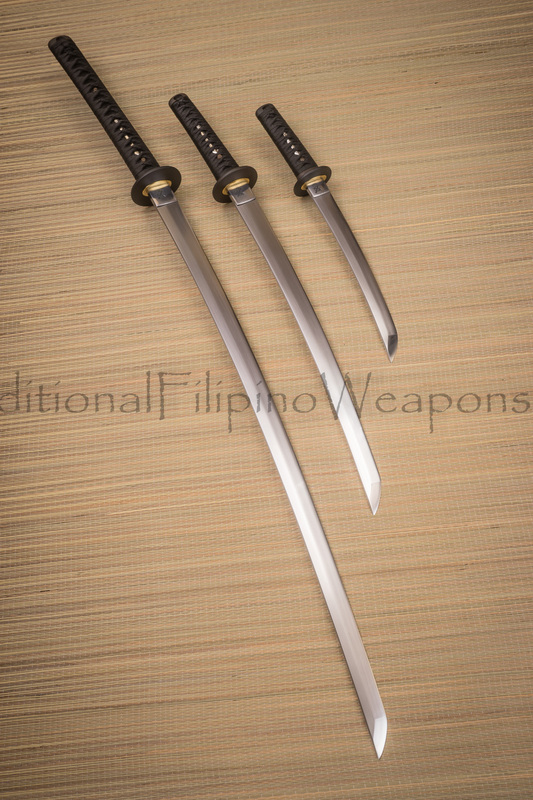 All three Japanese bladed weapons are very solid and very high end quality. Made from steel blends of 5160 and D2 with a sodium nitrate heat treatment. Once you hold any one of these bladed weapons, you will find they are second to none out there right now.